Sgt. 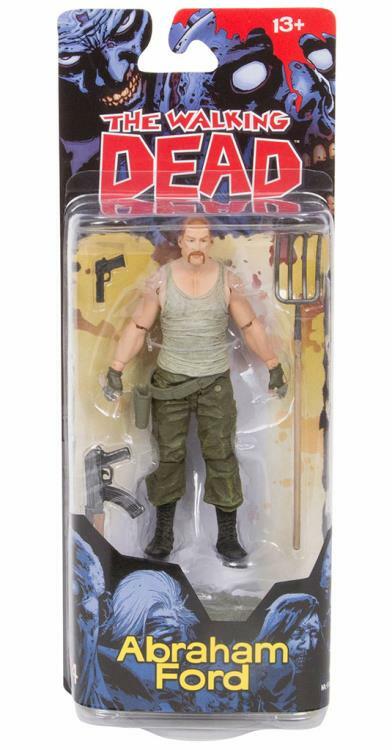 Abraham Ford is the definition of rough around the edges. 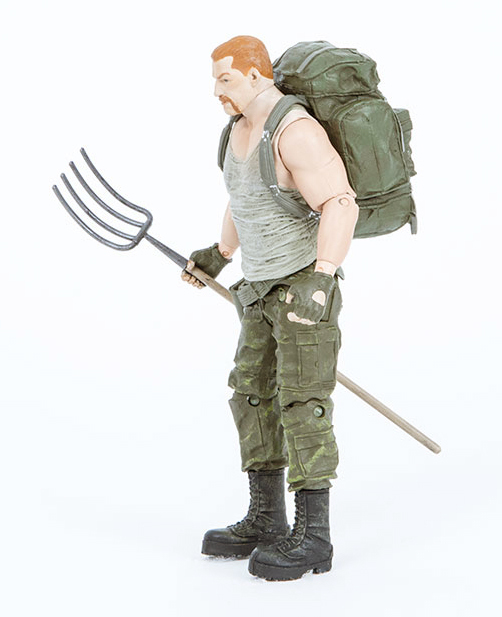 Abraham's entourage cross paths with Rick's group of survivors while on their mission to deliver Dr. Eugene Porter (who has info that could save the world) to Washington D.C. 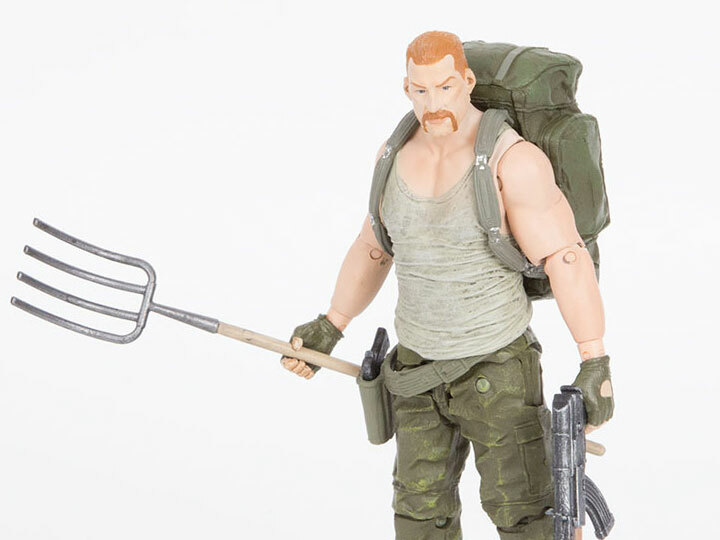 Though Abraham initially clashes with Rick, he comes to accept the man as a friend, taking up the role of second-in-command and serving as a key enforcer within the group. 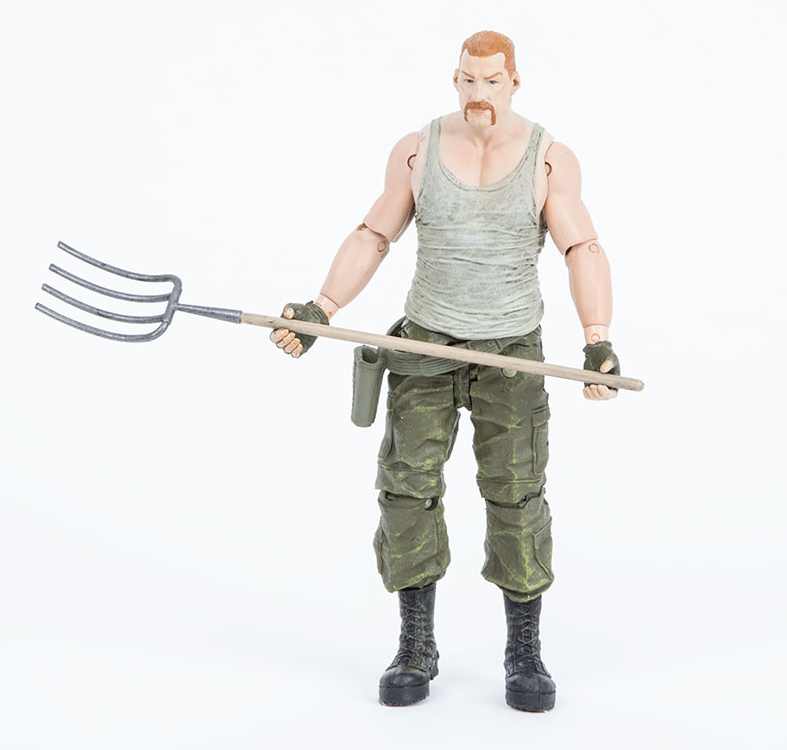 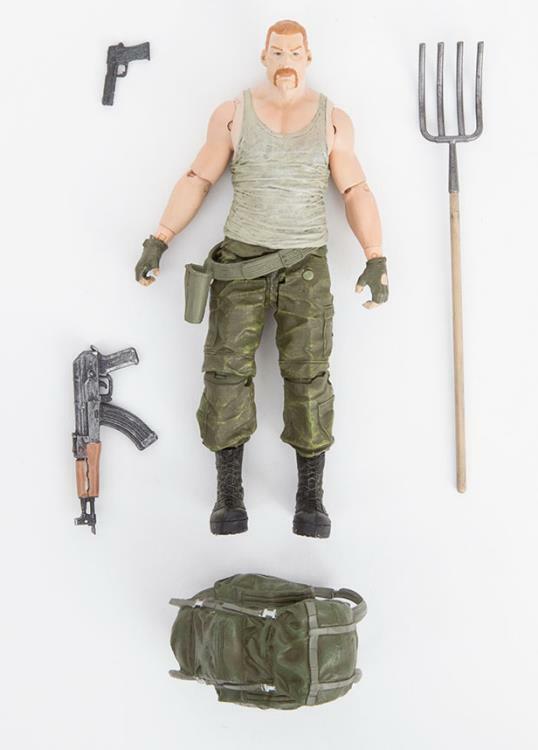 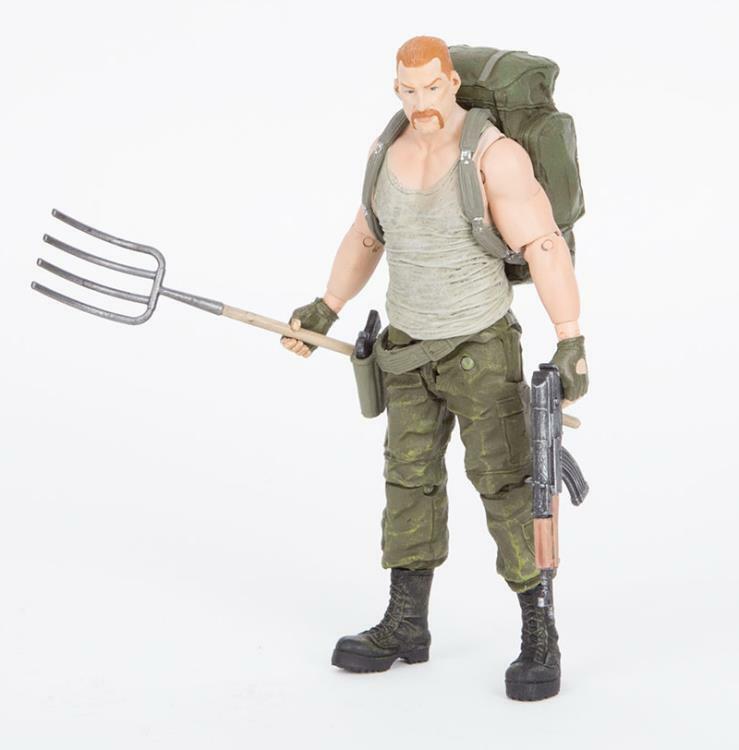 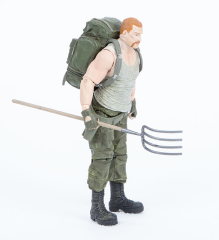 This figure depicts Abraham in his iconic white muscle shirt, fatigues and combat boots. 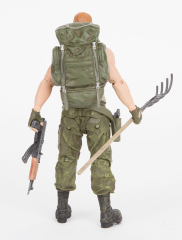 He also includes an assault rifle, backpack, pistol, and pitchfork.